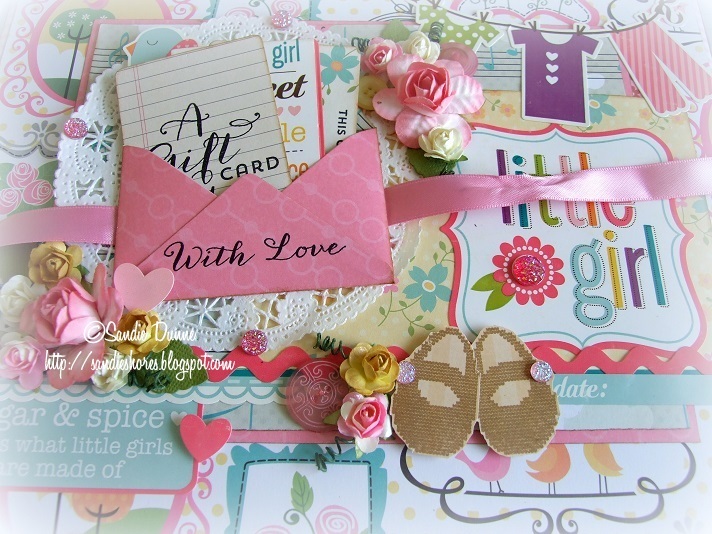 all, we have another gorgeous guest post for you today, from Sandie Dunne of Waltzingmouse Stamps. 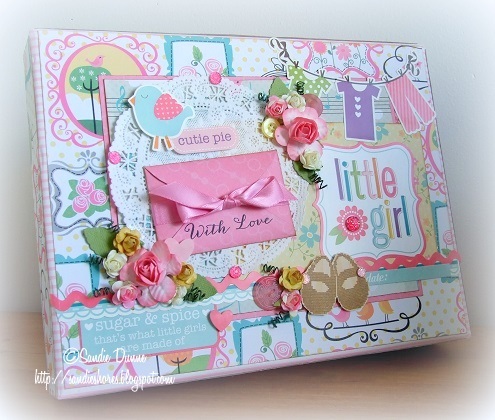 She is here to share a fabulous up-cycled project with us. 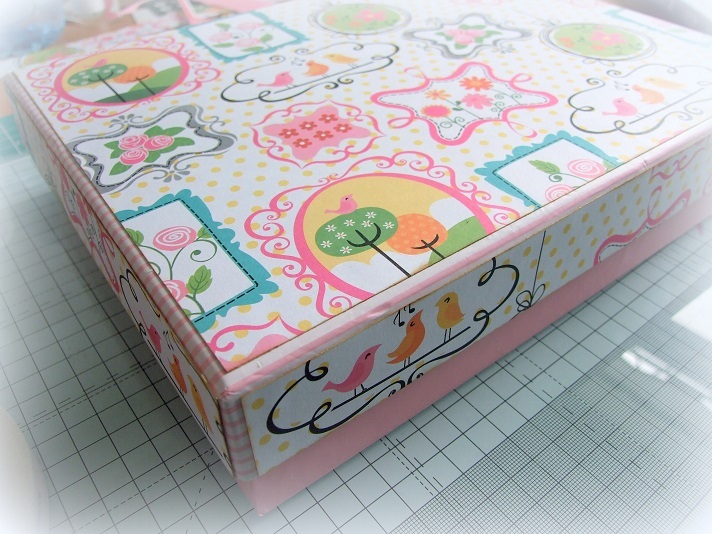 Measure the top and sides of the box and cut out some patterned papers about 1/8″ smaller (so if the box measured 6″ x 8.5″ you would then cut paper at 5 7/8″ x 8 3/8″). 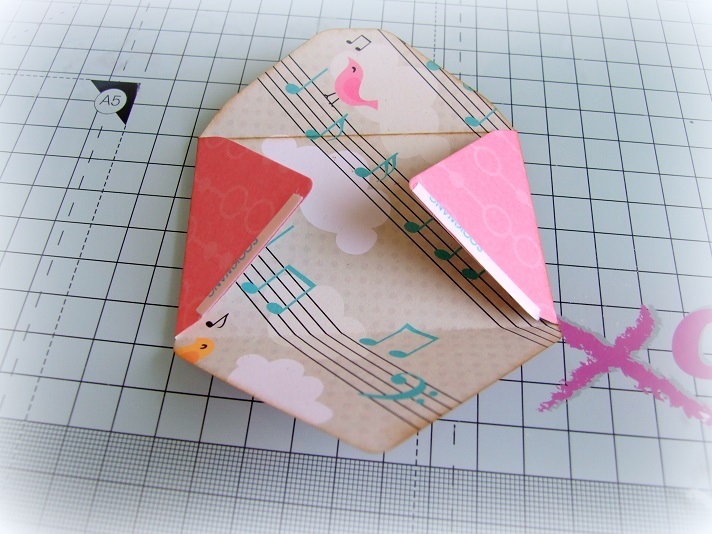 Also cut some extra panels for layering. 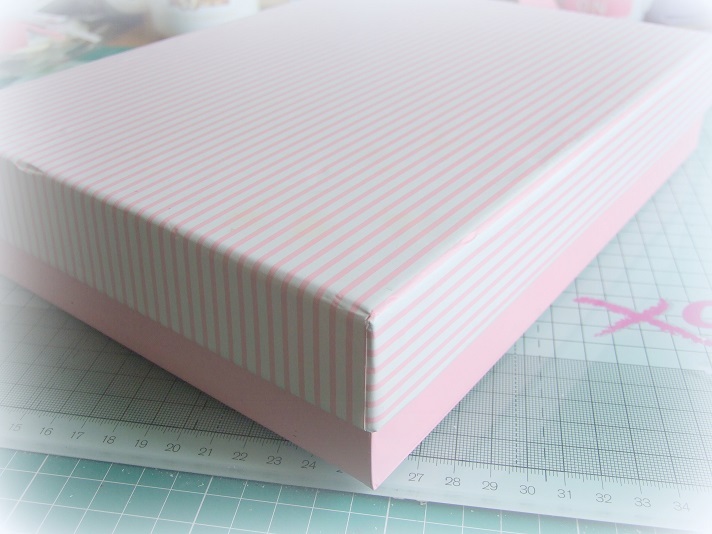 Ink the edges of the papers if desired and adhere them to the box with a strong double sided tape. 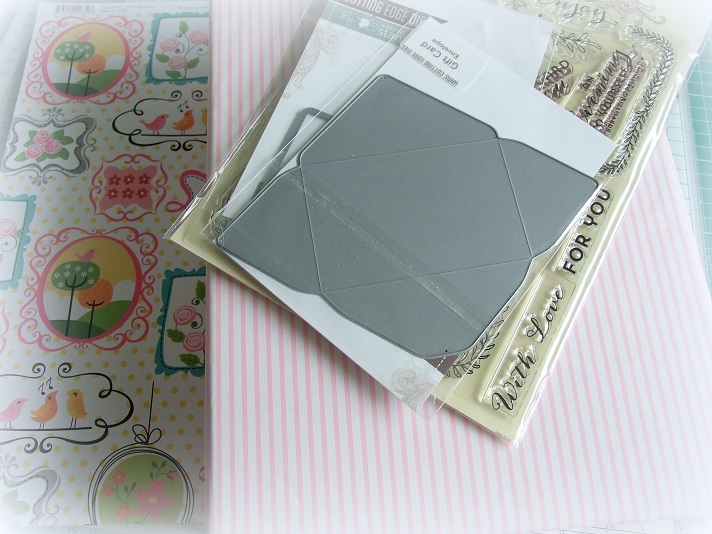 Layer up the extra papers. 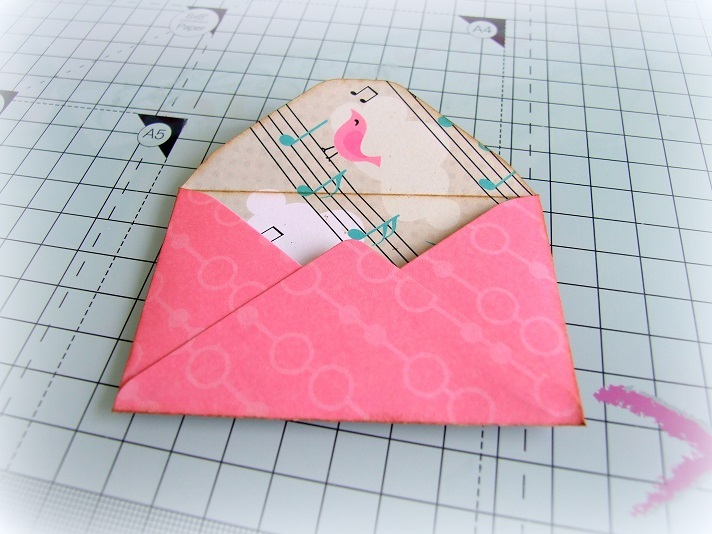 Fold the envelope on the score lines and then adhere the edges with 1/8″ DS tape. Adhere some ribbon to the back, enough to tie around the front and into a bow. 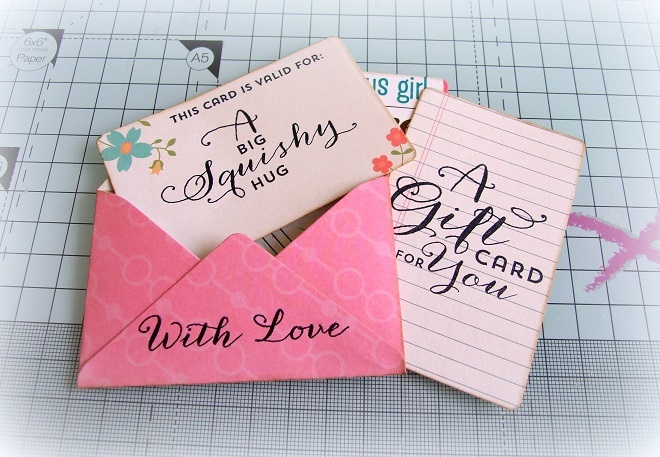 Taking the Gift Card It stamp set, add sentiments to the cards. 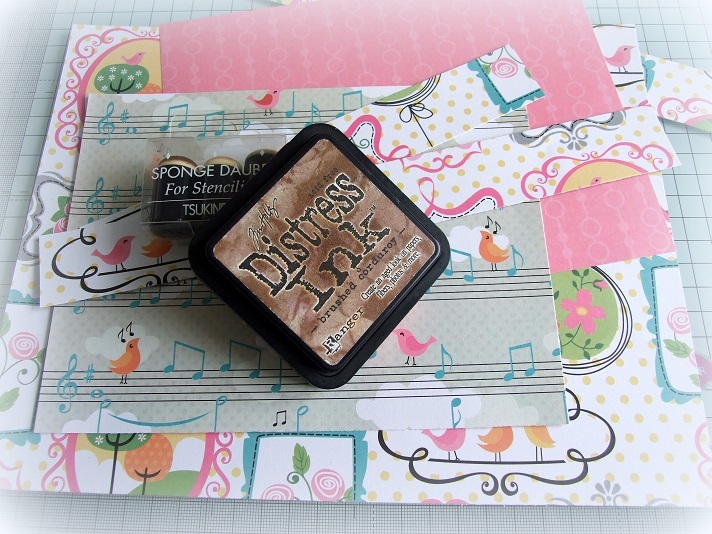 Stamp sentiment along the bottom of the envelope. 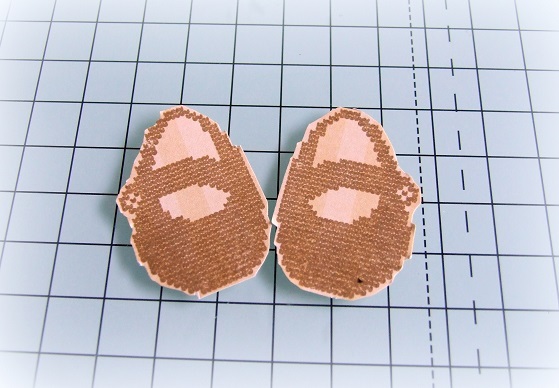 Stamp the baby shoes from Nordic Baby onto patterned paper and trim them out with a scissors. 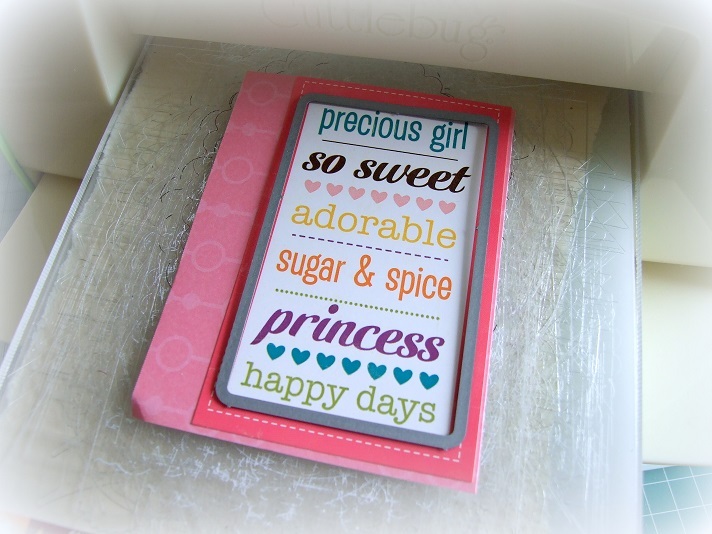 Arrange all of the elements onto the top of the box until you are happy with them, then adhere everything down. 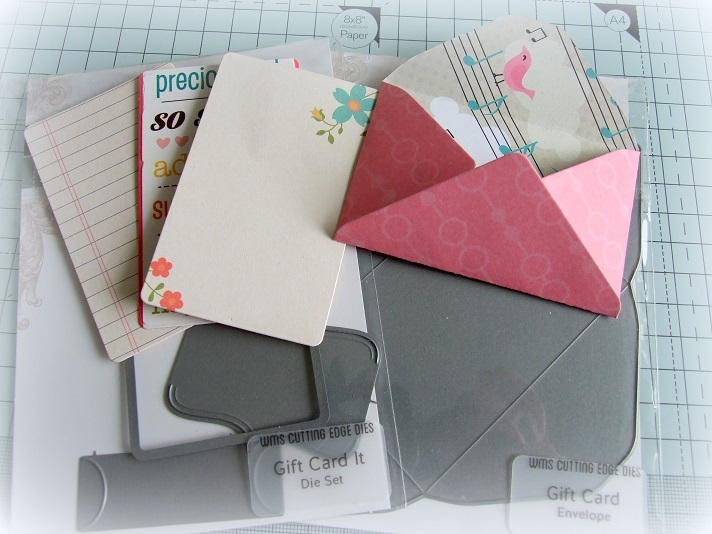 Insert the 3 gift cards into the envelope and tie it closed with the ribbon.